Since last year, economy has turned gloomy. For property buyers, it is harder to get housing loan approved. At the meantime, buyers may find it more attractive because there will be more and more “desperate” sellers appearing in the real estate market. Do you think buying properties via an auction present great opportunities? 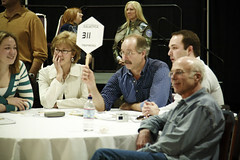 Read this great article from OngKL at REIJB.com – What you must know before buying an auctioned property?